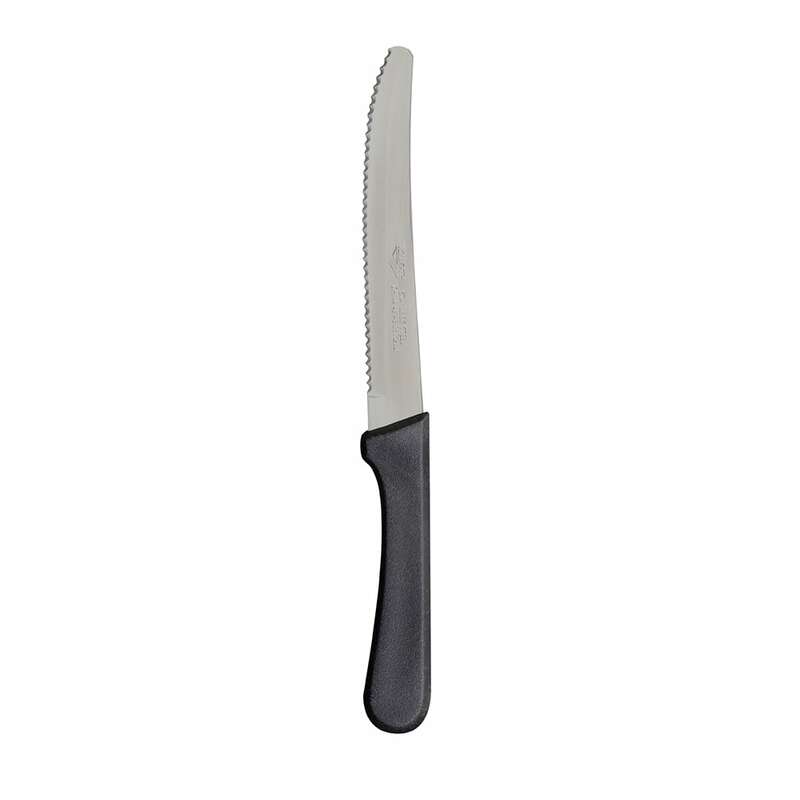 The Vollrath 48143 steak knife has a hollow ground blade that has a concave design where the sides are curved inward and meet to make thin slices easily. There are wave serrations in the edge, ideal for cutting through chicken, pork, and beef. Its rounded tip is perfect for cutting thin portions. The blade is made of stainless steel and the handle is made of plastic, so it is dishwasher safe. 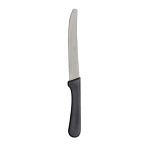 The handle on this Vollrath 48143 steak knife is textured to create a comfortable grip.